Young children don't go out for drinks or go on dangerous late-night joy rides with friends. Therefore, young children have typically comprised only a small portion of total traffic fatalities. Now, a new report has good news—over the last decade the number of young children who died in traffic accidents has shrunk by nearly 43 percent. The recently released report from the Center for Disease Control and Prevention (CDC) analyzed the crash deaths of children 12 and under from 2002 through 2011. In the last year of the study, a total of 21,000 drivers and passengers died from traffic accidents: 650 of the fatalities were children 12 and under. Preliminary reports indicate that child fatalities declined further in 2012, to 637. 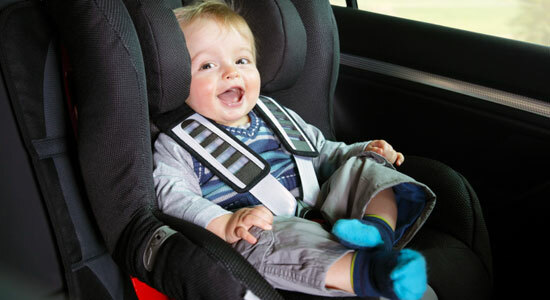 Safety experts attribute the decline in child fatalities to the increased use of car seats and booster seats. They also claim that state laws requiring car seats and booster seats, and government programs promoting safely securing children in the car, also played roles in protecting kids over the last 10 years. Was Your Child Injured by a Defective Car Seat? Car seats are made to save your infant's or toddler's life and prevent injuries, and normally they do. Unfortunately, sometimes they cause injuries…especially if the car seat is defective. And if that happens, it's devastating. Serious injuries can take your child's life, or leave them with permanent medical problems. If your child was injured by a defective car seat, we wish more than anything that we could turn back the clock. But we can fight to get justice for your child, and compensation for the piles of medical bills you now have. Contact Edgar Snyder & Associates at 1-866-943-3427 or submit your information online with the form at the top right of this webpage for a free legal consultation. Source: “Child traffic accident deaths declined 43 percent over last decade: report.” Cbsnews.com. February 4, 2014.